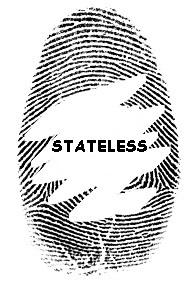 This morning, my Google Alert on statelessness led me to an article published by Oliver Lewis of NZ Stuff magazine. Intrigued, I read the story of Harmon Wilfred and his wife, Caroline, who is the heiress to a Canadian cookie fortune. How did the husband of a Canadian heiress become stateless, you may ask? According to Harmon, he is being persecuted by the US and Canada due to his somewhat mysterious and unclear political activities. It seems that Harmon used to work for the CIA, or for a Savings and Loan, or something. And he is being persecuted for his political work, either against the Savings and Loan industry or Hillary Clinton, it's unclear and depends on whether or not you trust Wikipedia or Kiwi reporter Oliver Lewis. Anyway, the point is, Harmon is being persecuted, so he and Caroline fled to New Zealand to escape. In 2005, to avoid deportation, Harmon renounced his US citizenship and is now "stateless." New Zealand won't grant him refugee status for some crazy reason, but they can't deport him because the US government won't accept him back. Harmon is appealing to President Trump to help him. According to the Financial Post, Harmon has served some time in jail in both the US and Canada, though for what isn't clear. And it seems that he and Caroline have gotten themselves into some financial trouble in New Zealand as well, including something to do with an insolvent charity project. Caroline's family, for some reason, has been entirely unhelpful to the poor couple, who are now separated because Caroline lacks a visa to re-enter New Zealand after visiting Canada in 2015. Oliver Lewis, the reporter, has presented this story as a tale of woe and persecution. He compares the situation of Harmon Wilfred to that of the Rohingya in Burma. I can't quite tell if Mr. Lewis believes that Harmon is being persecuted for his campaign to expose the "Clinton cartel," or the Savings and Loan industry, or whatever, but he certainly takes seriously the claim that Harmon is "stateless." There is a shadowy world of eccentric millionaires and others who are wanted by the long arm of US tax law or criminal law and who have attempted to renounce their US citizenship as a way out. There are a million websites set up to help you evade taxes by opting out of US citizenship. Many of these people are happy to break the laws of other countries by overstaying visas and then renouncing their citizenship to avoid deportation, counting on their money and their white-male-ness to protect them from any adverse effects. Many with money purchase citizenship in another country, but for obvious reasons, this is not always possible. Unlike many countries, the US does not require that you have another citizenship before you renounce your US citizenship. According to Investopedia, there were almost 5,000 Americans who renounce their citizenship in 2016, likely due to tougher laws on collecting taxes from Americans abroad. Unfortunately, it is not clear that many rich, white, American men understand what their citizenship is for. There is nothing in this Investopedia article, nor on most of the websites I checked, about the importance of gaining another citizenship before you renounce. If statelessness is mentioned, the fact that one might be imprisoned in a foreign country for overstaying your visa, or that you might not be able to leave the country to which you have moved ever again, is not mentioned. It is not clear if most rich, white, American men understand that one cannot simply move to another country with a temporary visa and stay there forever without consequence. Most importantly, many seem to have not considered that they may wish to have children some day and that these children may wish to have a citizenship. There seems to be an never-ending stream of reporters eager to write a never-ending stream of articles about the "brave" white-guy-anarchists who renounce their US citizenship so they can mooch off the foreign governments of eastern European or Asian countries and operate Bitcoin laundries to launder dirty money without fear of prosecution. Why laundering money for criminals is considered to be a political act is not clear to me, but it apparently makes sense to a lot of journalists like Atossa Araxia Abrahamian at Vice. What all this has to do with the Rohingya, I'm not quite sure. Sadly, the idea that US citizenship is all about politics, feelings, identity and taxes is very common amongst the techno-anarchists-tax-avoider community. Coddled and protected their whole lives, these men (and they are almost always men) seem not to realize that the world of people without papers is a cold, hard one, full of bureaucracies who simply do not care about you and do not see you as a person. A permanent residency card can be taken away at any time. But US citizenship is a right that can only be willingly given up.